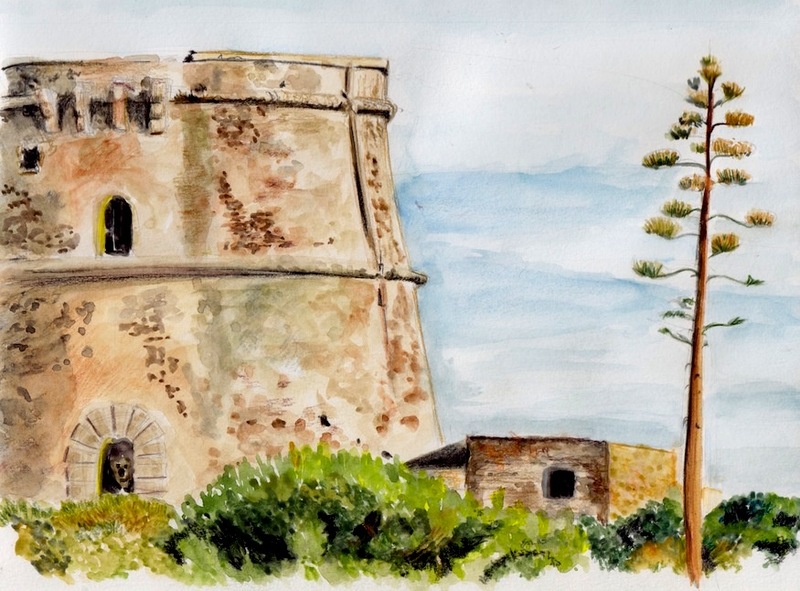 The Tower of Comte is one of the 9 remaining towers on the island of Ibiza. 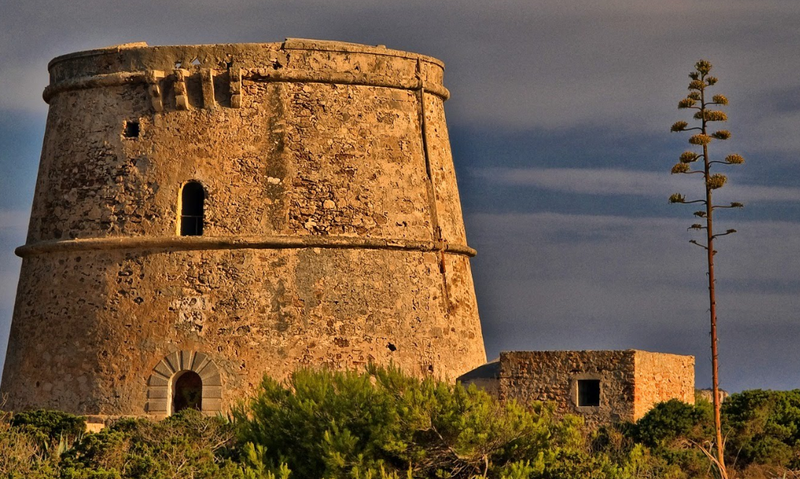 These 16th and 18th century structures were built to protect the island from pirates. Each tower was apparently built within viewing distance from one another so they could alert each other via fire, if a pirate ship was approaching the island. This particular one, also known as En Rovira Tower, is said to have be transformed into a home and the walls are 10 feet thick. I wonder how they designed the inside, especially considering the small number of windows. Mind you the view from the top must be phenomenal.